As executive director of the nonprofit organization Detroit Future City (DFC), Anika Goss-Foster is dedicated to making sure all residents have a say in building the city’s future. With roots in the city and more than 20 years of development experience, Goss-Foster joined DFC’s efforts to implement its Strategic Framework, a 50-year vision plan created with input from more than 100,000 Detroiters. Having recognized that recent developments and economic advancements are concentrated heavily downtown and not in neighborhoods of color, DFC has sought to actively change that. Goss-Foster says she has seen people left behind in city revitalization plans, and so she wants to make sure Detroiters are engaged. 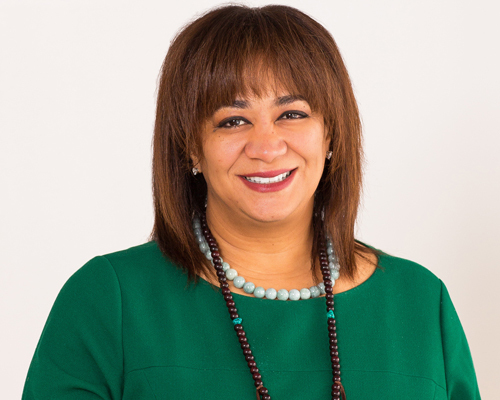 She’s lead the DFC team in supporting single-family rental properties in Detroit neighborhoods, cultivating business opportunities for people of color, and more. 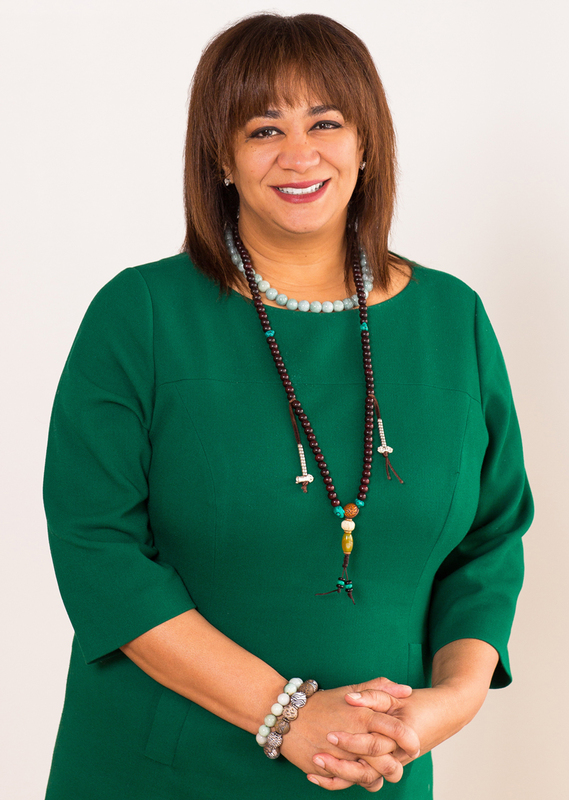 Continuing our Women Wednesday Spotlight series, Hour Detroit sat down with Goss-Foster to talk about what equitable development means for the city, how women’s contributions have gone largely unheard, and why that needs to change. 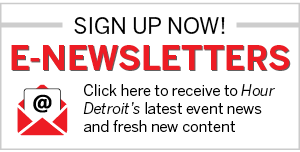 Hour Detroit: DFC focuses on economic inclusion and other principles like justice and equity. What does a truly just and equitable Detroit look like? Goss-Foster: An equitable Detroit is one where residents feel they are participating in Detroit’s economic rebirth as an investor, contributor, as well as benefiting from economic change. Right now, white businesses are twice as likely to grow from one to three employees than African American or Latino companies. While new businesses of color are starting up at a rapid pace, they are still not growing at a pace that is even close to the national average. An equitable city would double down on the existing efforts to make sure that these businesses are positioned to be competitive in Detroit’s changing marketplace. That is just one example of the kind of strategy that is needed in order to create economic opportunity for all Detroiters. Detroit has a number of women artists, activists, and entrepreneurs who are actively shaping the city. Why do you think it’s important that women be a part of Detroit’s future? Women participating in Detroit’s economic development is not a new phenomenon. Women have led community development corporations building affordable housing, commercial corridors, shopping centers. Women designers, lawyers, planners, architects, philanthropy, and private investment have contributed to community and economic development efforts in Detroit for at least the past 40 years. … During a time when everyone was prepared to give up on Detroit, there were dozens of women who still believed in our city, but were often not given the credit they were due. At this point in time when Detroit is experiencing such an amazing economic recovery, acknowledging the contribution of women in the past and women that will contribute to the revitalization of Detroit in the future will be critical to our success. Why is it important that you, as a woman (particularly an African American woman), and other women of color, have a hand in sustainability, community, and economic development? Women of color are often very underrepresented in sustainability and community and economic development in Detroit. However, considering Detroit’s majority minority representation, it is critically important that women of color are engaged in and even leading the sustainability conversation for Detroit neighborhoods. In order for there to be a genuine process of inclusion, representation for leadership must be as diverse as the neighborhoods they are working. There is an opportunity now to engage more women of color that are landscape architects, planners, engineers, and environmental scientists to as we begin to move towards sustainability in our community and economic development efforts. Do you see yourself paving a path for future women in development? If so, what are your tips for those interested in the work that you do? I hope that my work allows for other women to be bold enough to ask the hard questions about equitable development, responsible land use, and inclusive engagement in development. I also hope that my work attracts more women in the fields of economic development and sustainability. Women entering this industry have an amazing opportunity to participate in this industry with fresh ideas and creative ways of moving this work forward. The advice I would offer would be to keep pushing and not assume that your opinion doesn’t count and embrace the women who have been working in this field as mentors and guides. In my career, that has been the most important lesson for me. There have been countless women who have impacted my career and I have learned tremendous lessons from. I hope I am offering the same guidance and leadership to other women as well. If you could write a spotlight on a woman you admire, who would that be and why? My mother is a woman who I admire most. As the former president and CEO of the Skillman Foundation, she is admired by many people in Detroit and across the country. However, what many people don’t know is that she either stayed at home or took jobs with a school-friendly schedule to raise my sisters and I. It wasn’t until my sisters and I were much older that she really began to focus on her career and quickly rise through the ranks in philanthropy. As women we are often forced to make difficult choices between work and family. She chose to put her family first before her career. While I chose to focus on my career, the core values of putting my children first, making sure they were always eating home-cooked meals, never missing school events or parent-teacher conferences, is still very much a priority for me. It was putting my family first that ultimately led me to take the job at Detroit Future City, to work locally and be available to my children before they go off into the world. Most importantly, it reflects the values and diligence to protect your children [that] my mother believed so strongly in.